Don’t you wish you had a penny for every time someone says “I wish I had more time”. The truth is there are, and always will be, only 24 hours in a day and no amount of wishing will change that. However, what is within your control is how you use those 1440 minutes. 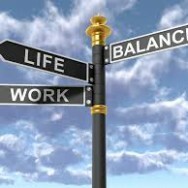 If you find yourself facing the same problem, I will tell you what I tell my clients; There is no such thing as a work/life balance.